for $195,700 with 3 bedrooms and 2 full baths. This 1,565 square foot home was built in 2019 on a lot size of 0.21 Acre(s). 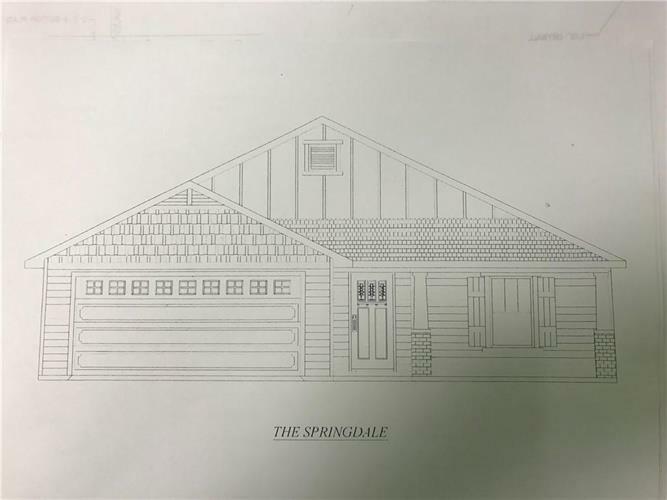 This BRAND NEW 3 Bedroom / 2 Bath home offers charming Craftsman exterior touches with spacious living inside. At approximately 1, 565 square feet of living space, there is plenty of room for your whole family. The Springdale plan features both front and rear covered porches. There is still time to make interior color selections. Projected completion in early June. Call your REALTOR today!